Personal Injury attorneys serving Los Angeles, Riverside, San Bernardino and Orange Counties. We handle all of our personal injury cases on a contingency fee basis, which means that you will pay nothing for our legal services unless we obtain a settlement or verdict on your behalf. Schedule a free consultation at the Law Offices of Eslamboly Hakim by calling us at 800-LAW-TALK (529-8255) . We have recovered over 100 million dollars for victims of accidents. See what we can do for you. If you have been involved in a Trucking Accident, we can help. Detailed information about the many types of cases we handle. Our vast collection of Articles covering a wide range of personal injury topics. A collection of FAQs providing quick answers and explanations. Get a free consultation now by calling 1-800-LAW-TALK or contacting us here. We are available 24 hours a day. If you have been injured or lost a loved one in an accident, do not wait. Although many people do not feel ready to talk with an experienced attorney right after an accident, time is of the essence. The initial stages are critical. Waiting only creates an opportunity for crucial evidence to be lost and can only benefit the negligent party, the insurance company or your employer. It is very important that you take this first step toward protecting your legal rights as soon as possible. Our lawyers will take all necessary steps to make your life less stressful during this difficult time. They will protect your legal rights. Our success has been no accident. We have more than 23 years of combined experience and a track record of results that includes recovering over $100,000,000.00 in verdicts and settlements. We are relentlessly aggressive in seeking maximum compensation. Our law firm is well-known and respected by our peers in the legal community for those results — and for the quality of our work and our relentless advocacy on behalf of our clients. In fact, being a smaller firm has its advantages. It allows us to dedicate much greater care and detail to each individual client which creates much more favorable results. We believe this makes all the difference in what makes a reliable, trustworthy, and successful attorney. This has been evident to our past clients. Schedule a free consultation at the Law Offices of Eslamboly Hakim. Call us at 800-LAW-TALK (1-800-529-8255) or contact us online. We handle all of our personal injury cases on a contingent fee basis. This means that you'll pay nothing for our legal services unless we obtain a settlement or verdict on your behalf. Sharona Eslamboly Hakim is the principal of the firm. Narek Postajian is an Associate at the Law Offices of Sharona Eslamboly Hakim. Ivetta Arquell is an Associate at the Law Offices of Sharona Eslamboly Hakim. Car accidents can be extremely complex and feelings of fear or anxiety will inevitably emerge, which is why having an experienced, smart, and compassionate attorney is crucial to restoring you medically and financially. Slips & Falls can, and do, occur often & just about anywhere, and which tend to result in severe injuries with permanent or long-term effects. This is why having experienced, aggressive, & tactful attorneys like us is your best route to being properly compensated. Generally, California is not “bicycle/motorcycle-friendly,” which unsurprisingly, means they occur frequently & can result in life-threatening injuries that are accompanied by devastatingly high medical bills, unemployment, and a decreased quality of life. Having a knowledgeable advocate for you is crucial in shedding light on your already dark and trying predicament. Losing a loved one because of the actions of another is a daunting tragedy, which we, as compassionate & understanding attorneys, not only fully understand, but know exactly what to do to make this already sufferable situation, much more bearable for you and your family. These cases can arise out of practically any situation—often from things we encounter every day: cars, appliances, even perishable items. If you’ve been injured, having highly experienced attorneys like us can restore you and open your eyes to the potential dangers/hazards that you have, are, or will face, while obtaining the sufficient compensation you deserve. “I hired Sharona Hakim after I tripped and fell in a parking lot. I was seriously injured but I could not find an attorney to take my case because they said it was too difficult. Then I found Sharona. She believed in my case and fought for me. She held my hand every step of the way. I received the medical attention I needed for my injuries. She got me an amazing settlement. More than I ever thought I would get. I am grateful to her and her very professional and caring staff. I will recommend her to everyone! I hired Sharona Hakim after I tripped and fell in a parking lot. I was seriously injured but I could not find an attorney to take my case because they said it was too difficult. Then I found Sharona. She believed in my case and fought for me. She held my hand every step of the way. I received the medical attention I needed for my injuries. She got me an amazing settlement. More than I ever thought I would get. I am grateful to her and her very professional and caring staff. I will recommend her to everyone! 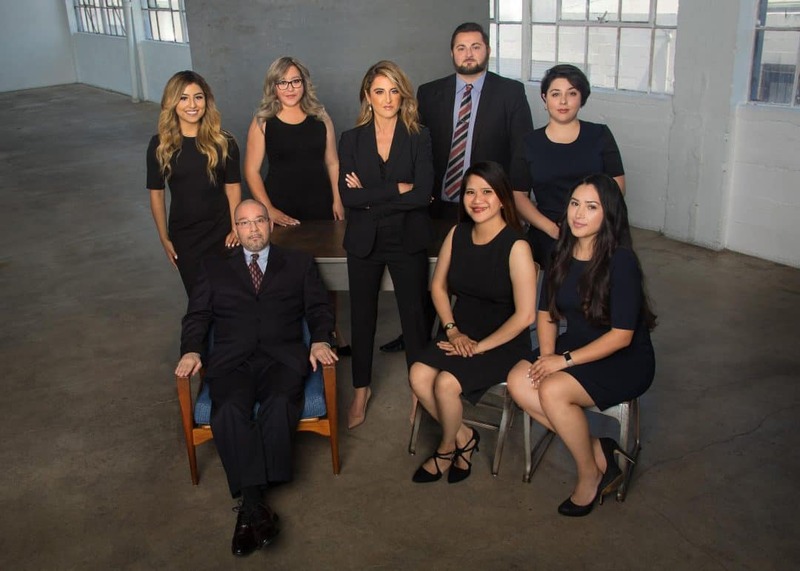 I highly recommend Sharona Eslamboly Hakim because she is a very professional attorney who fights for your case and gives you the results you want. Being involved in a car accident can be a terrible experience especially when you are hurt. The insurance company are no help because they don’t want to pay out anything for your medical and time off. I was recommended to use Sharona Hakim from the Law Offices of Eslamboly-Hakim. I was so happy with the service I received from Sharona Hakim. She made sure my every needs was taken care of. She handled everything and kept me advised every step of the way. Very compassionate about her work and her clients. I would recommend this Law Firm to my family and friends. If you’re in need of a Law Firm that cares l strongly recommend this firm. Audrey D.
Sharona is a wonderful attorney. She is professional, always available, and cares a lot about her clients. You can tell she’s been doing this a long time and she has a ton of experience and knowledge. I would definitely recommend her to anyone. Sharona and her team are the absolute best! She represented my wife and I on an auto accident case which was quite complex due to a pre-existing condition. The complexity was compounded by the fact that the defendant passed away mid-way through the case. Sharona and her staff always took the time to keep us informed and reassured throughout the litigation. She was professional and guided us through depositions and other proceedings with the greatest of ease. We would not hesitate to recommend her to anyone seeking legal representation. Thank you, Sharona! You will be in great hands! I was in a car accident a few years back, and from the rear-end collision I developed Fibromyalgia (FMS). I was dealing with so much pain and stress, and the insurance company only wanted to pay a minuscule ridiculous amount for my pain and suffering. I had never dealt with attorneys before, so I wasn’t sure what to expect. I knew FMS was difficult to prove and felt very lost. That all changed when I met with Sharona and her staff. My anxiety vanished, and she re-instilled my confidence. Sharona was very compassionate and listed to every word I had to say without making me feel rushed. She showed genuine care for my well-being and helped me get a proper unbiased diagnosis for my condition. She explained everything in terms I could understand and didn’t mind my repeated questions. She also helped me receive a much higher compensation in addition to getting my medical bills taken care of. While she’s very busy, she made sure I was informed on the process of my case and kept me up to date with any updates. Her staff is very professional and courteous. If you’re looking for a respectable, knowledgeable, and experienced lawyer who demonstrates compassion and genuine care for her clients, then don’t hesitate and give her law office a call. You will be in great hands! Sharona was referred to me by a family member who she previously represented. I was in a car accident and was frantic, nervous, and overall had no idea what to do because this was the first time I had been involved in a car accident. I was badly injured and was going to be out of work, which would obviously cause me a lot of financial concerns. When I first spoke with Sharona and explained my case to her, I could immediately tell she knew what she was doing and had many years of experience handling the exact case I had. This was clear to me simply by the questions she was asking me and the way she explained how her representation of me would progress. My entire experience with her, and her staff, from start to finish, exceeded my expectations. They were all always friendly, helpful and informative when I called. I could tell that Sharona and her staff truly cared about me, the best way to help me, and how to put me in the position I was in before the accident. When Sharona told me my case was settling, I was ecstatic because of how quickly and smoothly everything went. I have, and will continue to, refer Sharona to anyone who might need a personal injury attorney who has been practicing for many years.